A long-awaited investigative report from Southern California Attorney Michael Jenkins released Wednesday night found Alameda Councilmember Jim Oddie violated the City Charter by sending a letter of recommendation for the firefighters union-preferred candidate to the city manager while using city letterhead. The finding may appear to be a glancing blow against Oddie given the investigator casted significant doubt as to whether the particular section of the Charter was constitutional. In fact, Jenkins recommended the council revise Section 7.3 pertaining to council interference. Meanwhile, nearly every allegation against the council by City Manager Jill Keimach was found to be unsupported by the evidence. But there is many more nuggets of interesting information contained in the report. The implications of the redacted portion of Keimach’s Oct. 2 treatise to the council alleging political interference looms large near the conclusion of the independent investigator’s report. The redaction deals with information Keimach included about a city employee. Furthermore, a firefighter. 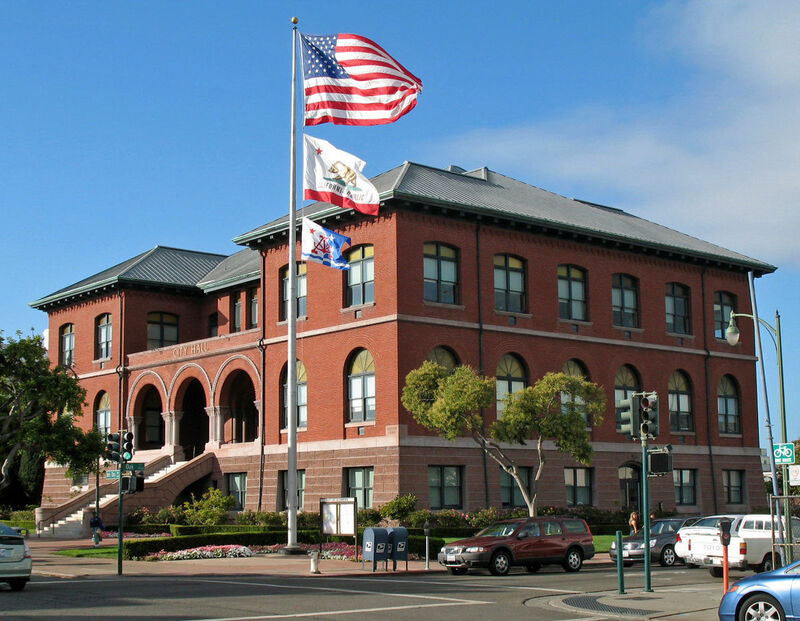 Following reports that Alameda Firefighters union president Jeff Del Bono filed a preliminary complaint against the city, put two and two together. “Such publication has the potential to subject the City to penalties for violating the procedural safeguards meant to protect [redacted] property interest in his civil service employment,” wrote investigator Michael Jenkins, who later described Keimach’s comments as “unsubstantiated, premature and their inclusion only self-serving.” In short, Keimach may have violated the Firefighters Bill of Rights. Furthermore, despite media reports of Del Bono’s complaint, the main thrust of it is not defamation, but retaliation. Criticism of Keimach’s handling of the water crisis at Alameda Point last September, in addition, to her handling of hate crimes at the Temple Israel were legitimate, but Keimach linked the criticisms to perceived retaliation against her in the fire chief selection process. The consultant helping evaluate Keimach’s job performance said councilmembers believed Keimach had room for improvement. “There is no credible evidence, however, that Keimach was to receive an evaluation from the council so negative that it would result in termination,” wrote Jenkins. Venerable East Bay political consultant Doug Linney, who is running Ashcraft’s mayoral campaign this year, was contacted by the firefighters union in an apparent bid to talk some sense into Ashcraft. She apparently resisted overtures by the union to back Weaver. Linney said the union described Ashcraft as “being very difficult.” Ashcraft responded by saying she would not meet with Del Bono in the future “unless there is a witness and I am going to take notes.” But according to the report, Linney attempted to smooth things over between the union and Ashcraft. The underlying motivation is clear: Ashcraft’s campaign to unseat Mayor Trish Herrera Spencer is almost cooked if she doesn’t have the support of the powerful union. The strategy hasn’t worked. Ashcraft is persona non grata to the firefighters and the rift appears irreparable. On Aug. 23, Rod Gould, the consultant working with the council on Keimach’s employment evaluation, along with Keimach, reminded the council via email about the separation of powers laid out in the Charter that covers interference. It was sent after Keimach consulted with Gould about some of her concerns following pressure on her to hire Weaver. Vella reached out to Gould about the implications of her sending Keimach a letter of recommendation for Weaver. Gould advised against it, according to the report, and Vella did not offer a letter of support to Keimach. Ashcraft also resisted writing a letter of recommendation. Later, Councilmember Frank Matarrese expressed concern over Oddie writing his own letter of recommendation to Keimach, and suggested Oddie had regrets, after the fact. WHO BROUGHT UP RAYMOND ZACK? It’s not clear who mentioned Raymond Zack, the mentally ill man who drowned himself at Crown Beach in 2010 while Alameda police and fire personnel watched on. The reference reportedly occurred during the Aug. 16 meeting with Keimach, Oddie and Vella that Keimach illegally recorded without their consent. The recording may be the only hope for the truth. Keimach’s attorney demanded Wednesday that the recording be released to be public. Last month, the City Council voted to send the recording to the Alameda County District Attorney’s Office to determined if any laws were broken by Keimach. Later in the report, Vella said she sensed Keimach was posing questions like she was “baiting a violation of the City Charter (e.g. are you telling me to hire Weaver? )” The description matches a recent report that Assemblymember Rob Bonta and Del Bono suspected that Keimach recorded them, too. Bonta said his conversation with Keimach felt like he was being deposed by an attorney. It remains unclear why Alameda Police Chief Paul Rolleri willingly placed himself into the controversy when the entire issue has nothing to do with him or his department. The report, though, clears up that his bombshell quote to the East Bay Times about Oddie threatening Keimach’s job did not come directly from Rolleri, but was posed to him by the reporter. Rolleri merely confirmed the quote to the newspaper. The distinction being, someone with knowledge of the alleged comment passed it to the newspaper. But, who? Posted in Alameda, Alameda City Council, Alameda Firefighters, city charter, independent investigation, interference, Jill Keimach, Jim Oddie, Malia Vella, retaliation, Rob Bonta, violation. Bookmark the permalink. If you are going to call out revelations from the report, you fall way short. Councilmember Oddie: You crossed the line of your oath by signing your name to a specific candidate endorsement while acting in your official capacity. The investigative report clearly calls you out as guilty of this (pages 12, 66, 70). Not only this, the report further flat-out questions the sincerity of your statements made to the investigation team (page 11). Your statement since the report release regarding Section 7-3 ambiguity is laughable given what you did and not only entrenches your lack of integrity but adds arrogance. Having proven yourself as a liability for Alameda both ethically and financially, if you really want what’s best for Alameda, and since none of your actions have shown it, here’s what “honorable” looks like: Admit your mistakes, own up to the fact actions have consequences, and step down. Consider you – and perhaps selected other Council members – not being personally financially liable to reimburse the City a gift from us. Lastly, as an added observation: There’s a sage saying that you can tell a lot about a man by those whom he surrounds himself. It’s informative to learn Assemblyman Bonta shares in your actions and company. Councilmember Vella: You took trust placed in you at time of your oath and disrespected it. The timing of your meetings with the Fire Union and Keimach and consistent outcome of various people’s notes and interviews speak to your legitimately questioned integrity. Why did you have so many meetings/discussions with the Fire Union about the open position that clearly went beyond process questions and were directed toward candidate preference? This happening once is somewhat excusable, but then how come the continued Fire Union discussions focused on which candidate to select? This is inexcusable. And then, as if this is not already highly questionable behavior, you submit a brief claiming first amendment protections preclude the responsibilities of your voluntarily taken oath to not commit malfeasance and “assure integrity in government” (page 17). Reading and knowing what you sign-up for before you sign-up for it is a 101-level fundamental even for an architecture major, let alone a J.D. So, how can we not believe an oath means nothing to you? Your lack of taking responsibility screams that you are tied to consideration beyond your purview and not in it for the betterment of Alameda. Even without knowing what the recording has on it, all you do from here on out in Alameda will be highly questioned and scrutinized. For however long you stay, never forget you’ve earned this added attention. Councilmember Ashcraft: You are a more savvy version of Vella. But, truth will out. Not only did you take grey-area actions in specific candidate support, you did it in a way that lent to corrupting the vetting process (pages 35-36). With no mention of what defined process would dictate, why did you suggest to Keimach that she meet with one specific candidate? Then, despite your comments about taking notes (Page 27) and even the investigators making a footnote of your very detailed notes (Page 9) how (or why?) did you neglect to tell the investigator you shared with others that you were going to arrange a lunch between Keimach and someone who was exerting directional pressures in hiring the Fire Chief? Since you didn’t admit to this, we are glad the investigator figured it out (Page 40). Like Vella, your actions are not ones that build trust and inspire leadership. All this can and should be reminded when it comes time to vote for Mayor. Councilmember Mataresse: It’s amazing how doing your job correctly allows you to stand out in the best of ways. Good on you! Mayor Spencer: You too did well to stay out of the fray. Thanks for that. (ex)City Manager Keimach: You threw the kitchen sink of reasons into your October letter. You aren’t perfect in all this, but after having the Oddie letter in-hand and experiencing repeated Vella and Ashcraft self-insertions, it’s reasonable to see why you were worried. In fact, the Council agrees with this sentiment – for they just settled with you for $900k+. Note they won’t apologize for or take responsibility for their own actions, but they will pay our money to close this “unfortunate” (to quote Ashcraft) chapter in our city’s history. Alameda Fire Union, its members, and Alameda Firefighters: One of the side “benefits” of the investigative report is unveiling the true character and motives of your organization. What reeked in the report from many different sources/perspectives was a straight-up undermining and disregard for obtaining the best-of-the-best available for serving the citizens of Alameda. The examples are extensive: From the stacking of those who sit on the Fire Prevention Bureau (Page 25 and only supported by Oddie, Vella, and Ashcraft… hmmm); to threatening to limit the Fire Chief applicant pool (page 10); and then – perhaps most derelict – to the failure to provide mutual aid (Page 31, inexcusable and an embarrassment!). Know that via your own actions, your desires to be seen as a brotherhood duty-bound to serve others is seriously deflated. As citizens, we don’t have choice in city services selection. But it would serve us well if we did for fire services. This is because the competitive landscape could place your actions in-check and push beyond lip service your reply to this question: Tell us how you are working in the interest of citizens? To City Council and Fire Union collectively: What did the citizenry of Alameda learn from all this? Is it that you “got away” with it? A look at the early outcomes may indicate you have: As of now, 1) the three council members the Fire Union has most strongly backed remain in their positions; 2) actions some will view as obstructive and perhaps even derelictions of duty by firefighters have not been called out; and 3) a City Manager that was an agenda impediment is now gone. You might consider all these wins. But recognize some things are changing. Thanks to your actions and directly resulting from a very costly investigation and settlement, citizens here and in other cities will view candidate endorsements from the Firefighters Union as a strike against the candidate. We will look for candidates willing to strongly support the curtailing of pensions which are out of tune with economic reality. And, as another legacy you can claim, we will question more deeply if council members and firefighters really will perform their sworn duties when called upon.